Medical Tourism and Medical Travel has been an extremely popular trend for many years. Patients are choosing to travel south of the border to Mexico for affordable medical travel and International Patient Facilitators have been assisting them with the coordination and facilitation for over a decade now. Mexico, Dr. Sergio Verboonen and the Obesity Goodbye Center are one of our most popular surgeons and locations for all bariatric procedures. 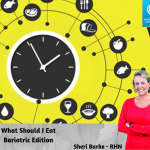 Sheri Burke – RHN is our lead bariatric coordinator and she also works with our bariatric clients prior to surgery and also a year post bariatric surgery to ensure that they meet all of their short and long term goals. Dr. Sergio Verboonen has been helping patients meet their bariatric goals for over 22 years. 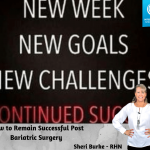 He counts on his reliable team which includes RHN Sheri Burke who specializes in bariatric nutrition and is his lead surgery coordinator for over a decade. Patients who come to our practice can look forward to gaining self-confidence and a sense of well-being from looking, feeling and functioning at their best. Thanks to you and the wonderful Dr. V for giving me back my life. Will always treasure you. Thank you so much for everything. My results are fabulous! Here you will find a collection of delicious recipes.